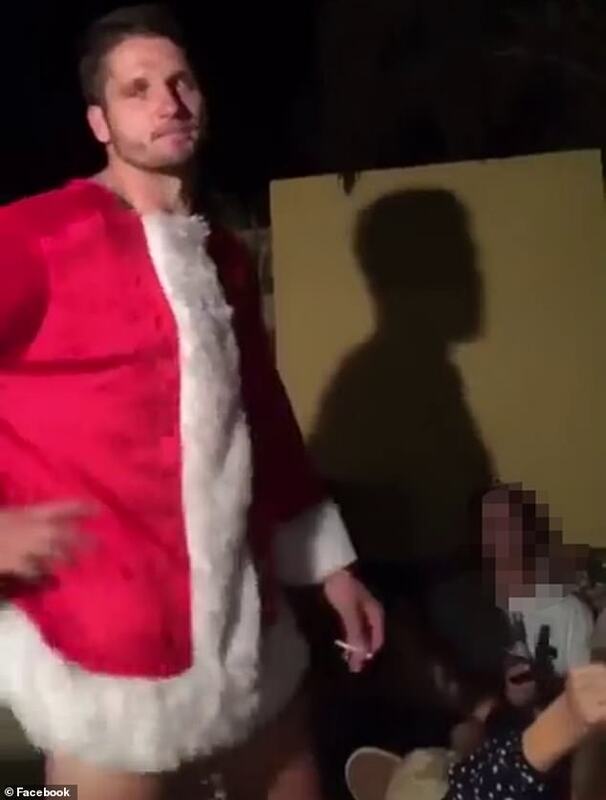 Fears are growing for embattled Jesse Hogan after footage of the the AFL star drunkenly dancing in his underwear and a Santa suit was posted online. 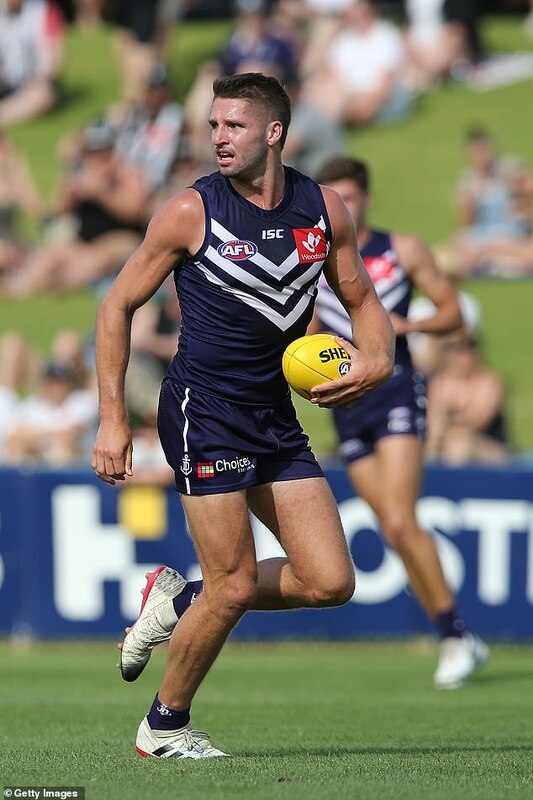 The 24-year-old forward was dropped from the Fremantle Dockers' season opener against North Melbourne after turning up to training on Sunday morning in an unfit state to play. 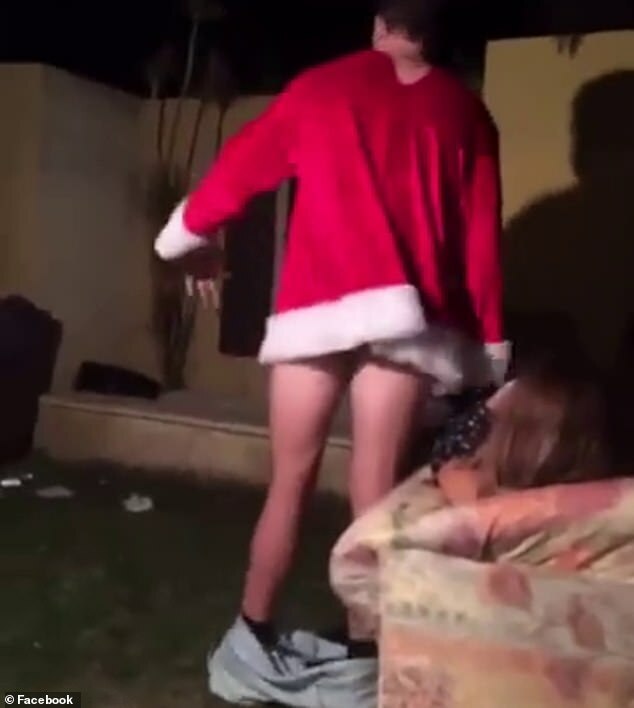 Shortly after, footage emerged of him at a house party dancing in a Santa suit with his pants wrapped around his ankles and an unlit cigarette in his right hand. 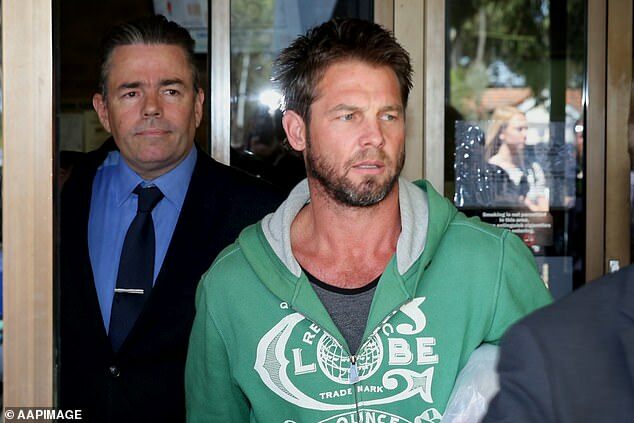 Comparisons have been drawn between Hogan and former star player, Ben Cousins, Fox Sports reported. 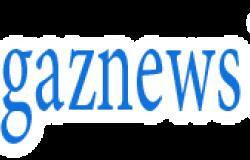 Journalist Basil Zempilas said Hogan's current situation reminds him of Cousins at the peak of his issues. 'One thing Fremantle can't hide from, the number of images that have gone around of Jesse Hogan in an inebriated state,' Zempilas said. Cousins has spent time in prison for violating a restraining order, and has been charged for drug related offences. Fellow journalist Kim Hagdorn echoed the sentiments during a segment on Radio 6PR, and said he hopes the club are doing enough to support their new recruit. 'I continue to find it alarming that they've dismissed it so simply, that is just anxiety. Clearly, there has not been a significant network of support put around this man,' he said. In the latest footage, an unknown man who was filming shouts out Hogan's name and asks him to say something to the camera, to which he replies: 'Don't put that on your Snap(chat) story, c***'. Hogan's friend intervenes, to which Hogan says 'thank you' and returns to dancing in front of a group of friends slumped on a couch. It's unclear when or where the footage was taken and Daily Mail Australia has gone to the Dockers for comment. Hogan was the Western Australian club's star recruit for 2018, with the club having given up a number of draft picks to secure his signature from the Melbourne Demons. He is believed to be on a $900,000-a-year at Fremantle. In a press conference on Monday, Fremantle's football manager Peter Bell revealed Hogan had made 'poor alcohol decisions' and was battling 'clinical anxiety'. Fremantle GM Peter Bell outlined the reasons for Hogan's indefinite suspension ahead of the Perth side's Round One clash with North Melbourne. 'At the appropriate moment, a glass of wine with your partner or your family might be OK if you're not injured. Bell said Hogan's commitment to the team was not in question and he was a hard worker on the field, but poor decisions had caused him grief. 'Jesse continues to train very hard on the training track and he will continue to train with the team, but his clinical anxiety can lead to him making poor decisions around alcohol consumption and, therefore, impact his health and wellbeing,' he said.